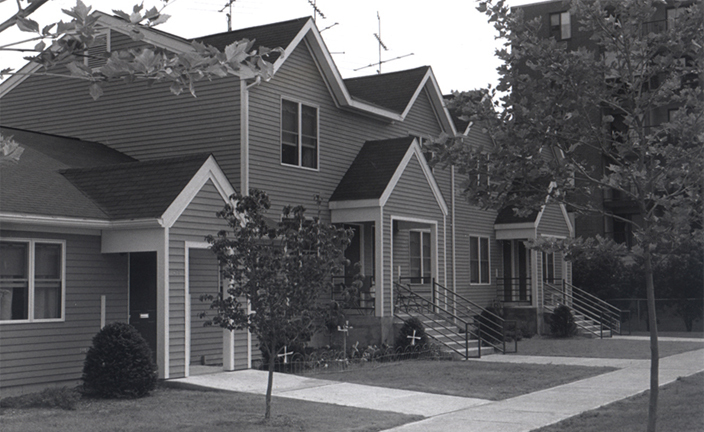 Oxford Gardens entailed the development of 50 affordable rental family townhouse units for a non-profit neighborhood group in partnership with the Rhode Island Housing and Mortgage Finance Corporation. 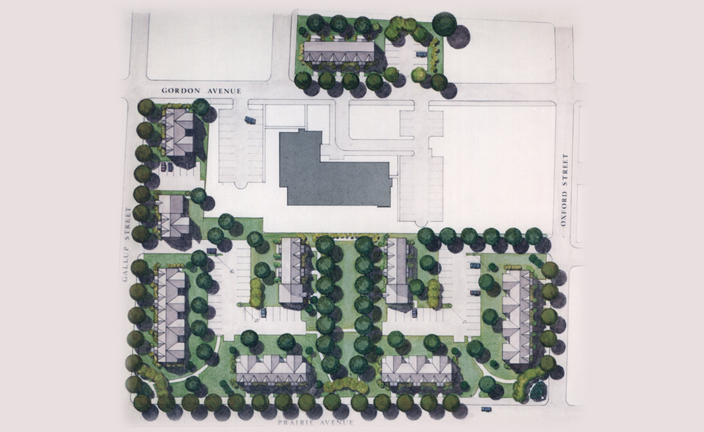 The site consists of two parcels of land separated by a street. The units, which include handicapped-accessible as well as two- and three-bedroom units, are arranged around a landscaped area that forms an oasis in the district. 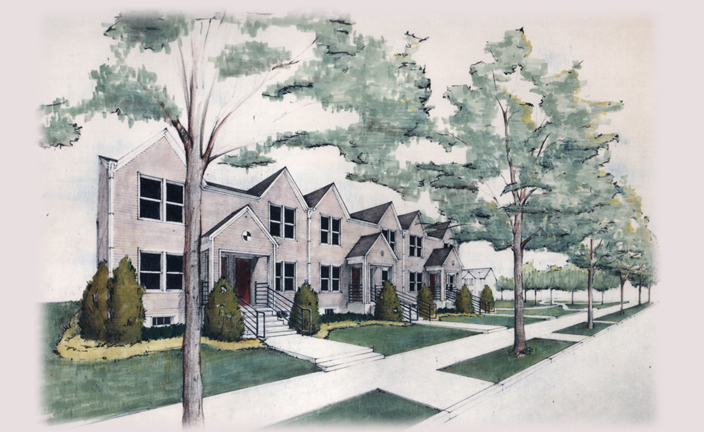 The project was awarded a National Affordable Competition Design Award from RIHMFC for a multi-family housing study.